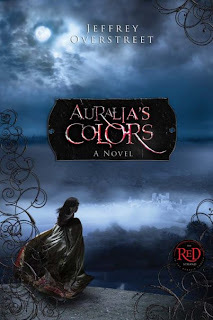 Italian Folk Music: Day 363-- Auralia's Colors out Tuesday! Jeffrey Overstreet's debut novel will be released tomorrow (well, today now I guess). Jeff is a film critic for Christianity Today. He's also written for Books & Culture, Paste magazine and some other great publications (he has some fantastic music reviews up on Phantom Tollbooth). Jeff also posts frequently on the Arts and Faith forum, and he's also a great guy (culture.ish. is running the first part of an interview I had with him next issue). But this isn't why you should check it out--check it out because it's pretty dang good. He's been getting great pre-release press from some reliable sources. Check out the book's hub, where you can read the first chapter, check out the 'blog Jeffrey kept during the writing/publish process, or order it.